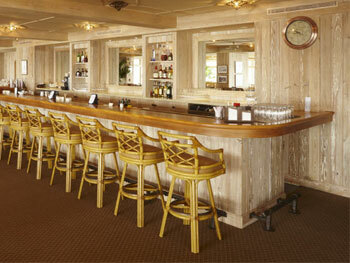 Railings are an important element of any quality bar environment. Foot rails provide support for patrons and service rails provide service separation spaces for your waitstaff. Together these railings complement and accent the interior design and motif of the bar environment. If you have a special bar or railing problem or have questions regarding our selection of railing materials, brackets or their installation, please don't hesitate to Contact Us. See Foot Rail Overview page here.